The Buna/Bojana River is the outflow of the Lake Shkoder/Skadar and is shared by Albania (Buna) and Montenegro (Bojana); it forms part of their border before flowing into the Adriatic Sea. a unique cultural identity depicted in the landscape, historic monuments and societal practices. 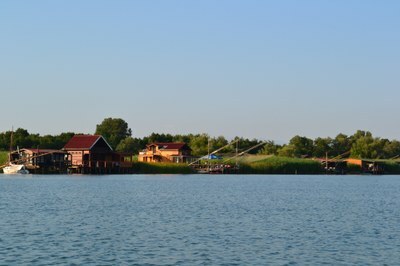 Learn more about the Buna/Bojana River basin and its Delta. An integrated management plan for the Buna/Bojana transboundary basin is being prepared by PAP/RAC, GWP‐Med and UNESCO‐IHP in coordination with the Albanian and Montenegrin ministries competent for environment, coastal zone and water resources management.